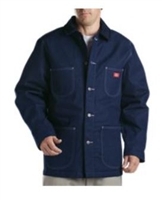 We have the coolest coats at Professional Safety Supply, after all, safety clothing and supplies is what we do. They're warm, tough and have plenty of features. We carry brands like Carhartt and Dickies so you know you're getting a quality coat at a low price. 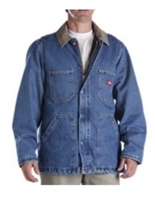 We have heavy work coats for that deep winter work or something a little lighter like the Carhartt Chore Coat. These coats are made from the finest materials with tough construction and features to give you performance on the job while keeping you warm. Let us be your one-stop for all your safety clothing needs.